I was planning to do a review of Firefox 4 when that came out a while back, but I just never got around to it. Thankfully, Mozilla have a new, far shorter release cycle for their browser so I can just skip 4 and move straight to 5. Also thankfully, not much has changed from the previous version to this one, which is a bit of a shame really as we’ve become accustomed to long waits for big feature changes from the organisation. Firefox 4 was quite a radical departure from the long standing version 3.5. They added their own version of Chrome‘s pioneering tabs-on-top feature, and changed the menus to make it far more sleek and minimal. It took a little adjusting to but it was definitely an improvement. Along with the cosmetic change was the addition of HTML 5 support which in the future will prove essential as we move away from reliance on the proprietary flash format more and more. 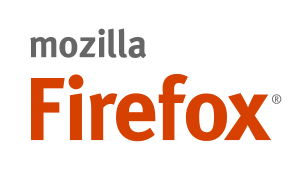 Another nice move was the addition of Firefox sync as an integral part of the application as opposed to an extension which in the past made it a fairly niche product. Now, everyone will be able to set up sync and enjoy having all of their bookmarks and other data on their mobile devices and other computers, which is a great thing. For the real power users, they added app tabs, which in my view don’t really work out well in the end. I just kept having my gmail fail to update and cause issues. The same could be said about the new tab organising feature called panorama. This allows you to group your tabs into named sets which you can switch between. Most people will never need this and as someone who usually tries out everything new, I really think it’s going to be overkill for almost everyone. I just don’t see how it’s worth the effort for 95% of people. Firefox 5 doesn’t do a lot of new stuff, at least not that you can see, which is in some ways a good thing. Security, standards compliance and performance are at the heart of this release’s improvements. At the end of the day though, despite everything they’re doing, I just prefer Chrome. Every now and again I like to open Firefox just for a change of scenery so to speak, but I always go back to Chrome as my browser of choice. Everything that browser does just suits me perfectly. The new tab page just works, the way I can use the main search box to look things up on wikipedia just works and the clutter free design wastes no space. As much as I appreciate what Mozilla do with open standards, supporting multiple devices including android among other things, I just like Google’s browser more.